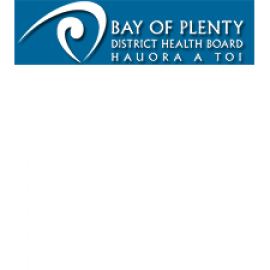 The Bay of Plenty District Health Board (BOPDHB) is one of 20 District Health Boards (DHBs) in New Zealand, and one of five DHBs in the Midland region. We are charged with the responsibility of delivering health services for the people of the Bay of Plenty. As a DHB we believe that innovation in service delivery is required to ensure the sustainability of public health services in a financially constrained environment. We are a complex organisation receiving annual revenue of $654M to provide and fund a full range of health and disability support services in the most efficient and effective way possible. Efficiency in the coming years will require innovation and significant redesign and reconfiguration to continue to provide a high level of service within financial constraints. We are your local public health professionals supporting good health in our community and enabling people to lead happy and rewarding lives. Toi Te Ora – Public Health Service is a service of the Bay of Plenty District Health Board and Lakes District Health Board. We work with all people in the greater Bay of Plenty and Lakes district from Waihi Beach in the west, Cape Runaway in the east and down to Turangi in the south.